Beer! 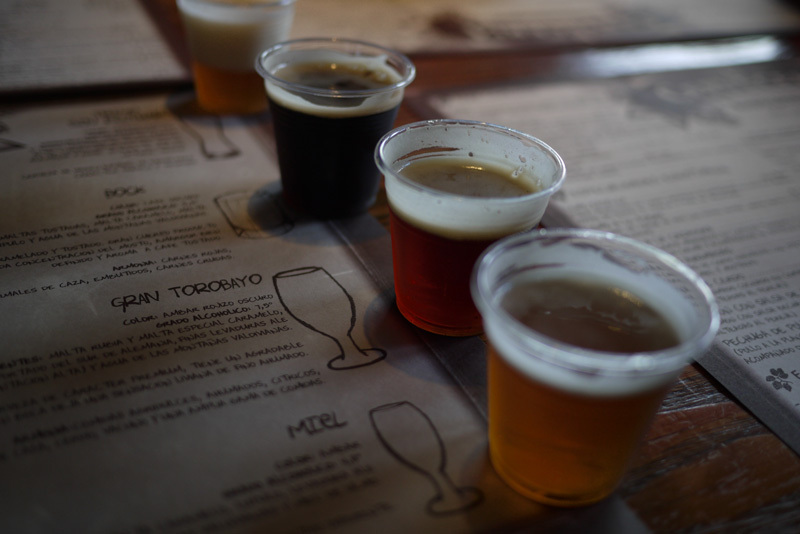 Gimme gimme gimme gimme beer! 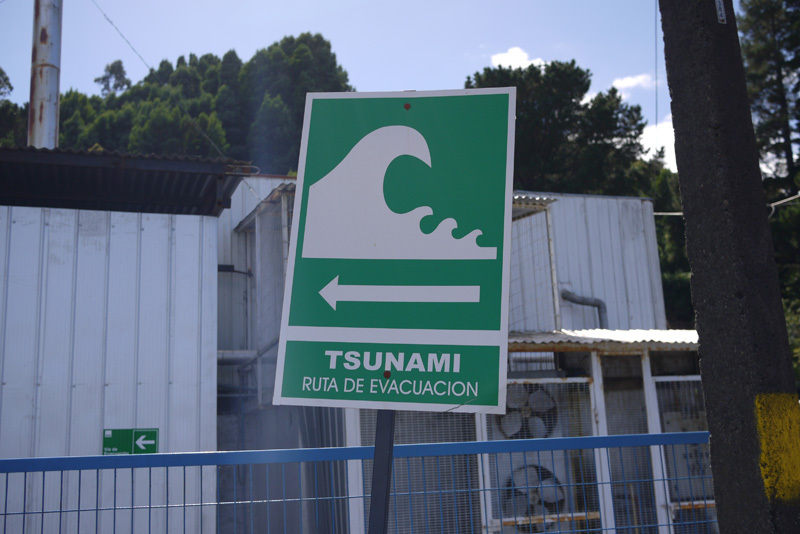 After Valparaiso, we did a 12 hour drive south, to the small but sweet town of Valdivia, home to Kuravilu records, the biggest number of German immigrants in Chile, as well as the biggest earthquake ever recorded. The pace of life here is much slower and people are visibly very happy. Myself and the Cauchemar tourbus! Haha! It was such luxury, we were on the second floor with a panoramic view of everything. Since it was a night ride, the “host” actually tucked us into bed with a pillow and a blanket. It was extremely cheap too – 18$ (bought in advance) for 12 hours… ridiculous! 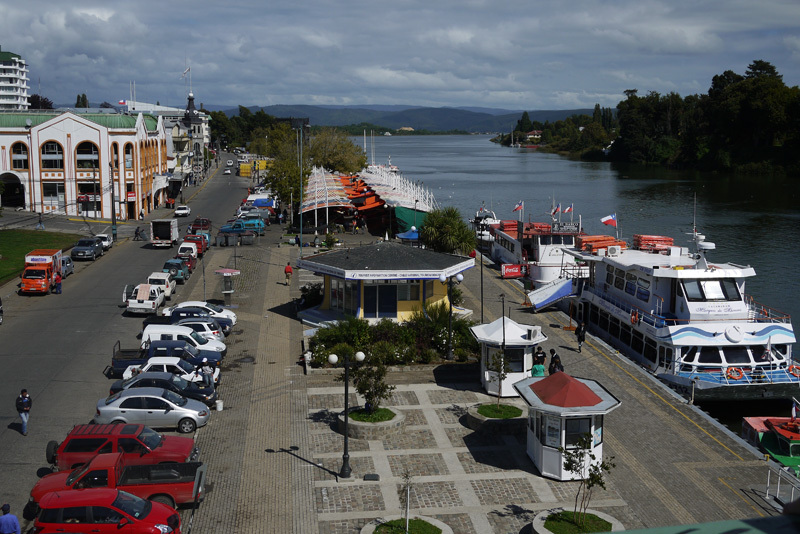 The river side in Valdivia – you can see the tents of the fishmarket at the very back of the photo. I have been in contact for a long time with Carlos Flores from Kuravilu Prods, one of the best underground labels in Chile. Him and his wife kindly invited us to their home and made us a killer dinner consisting of seafood, cheese empanadas and fish. They even shared some home-made beer with us! It was really amazing. 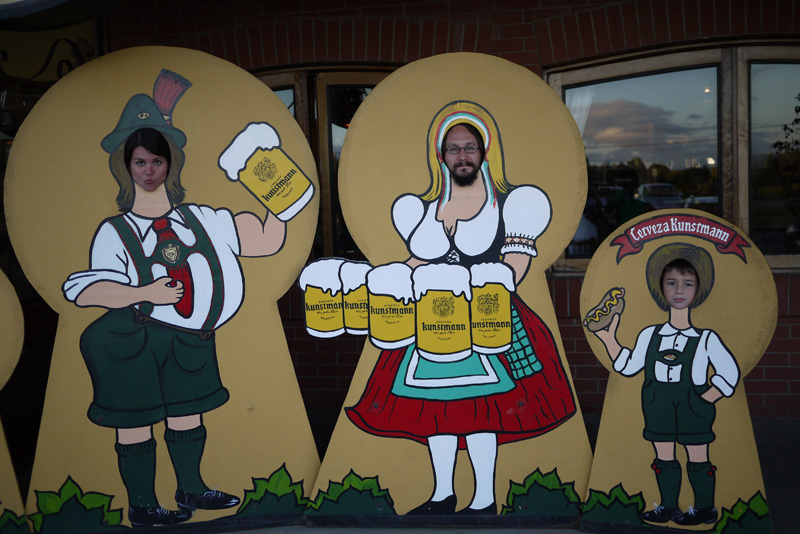 I don’t have any photos as I was a bit too drunk at that point… haha. The river, connected to the sea. There were tons of fortifications all over the sides of the river. The fortifications! 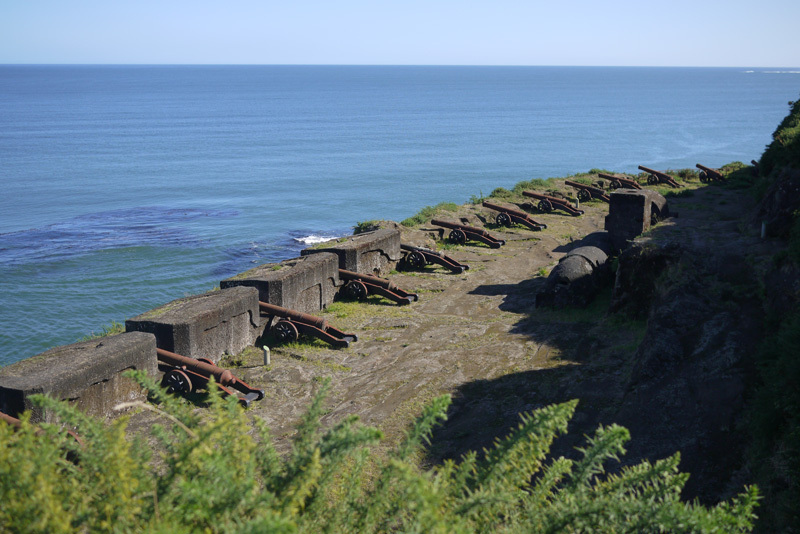 The canons were barely used as people were too scared to even dare attacking the Spaniards here. You see the kind of oven at the right, also? This was used to heat the canon balls before shooting them, so the ships would burn upon receiving the hit. Amazing!! 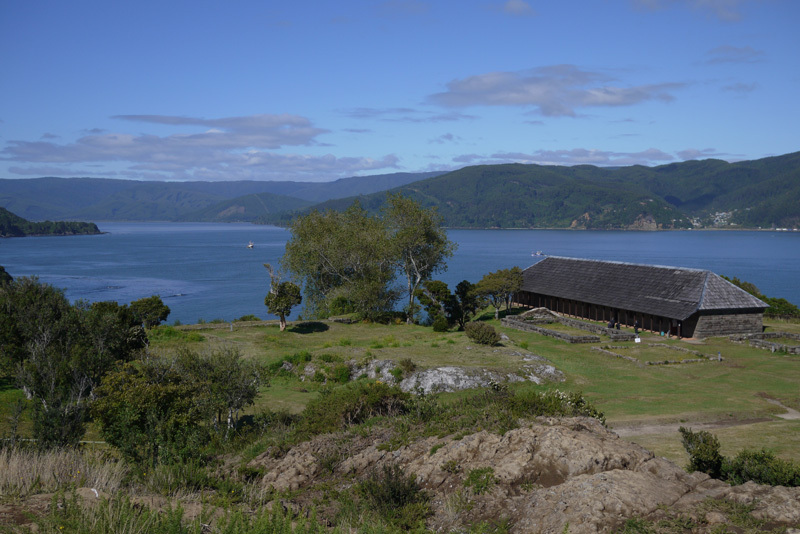 Some ruins, as well as the Captain’s house (which they turned into a museum). 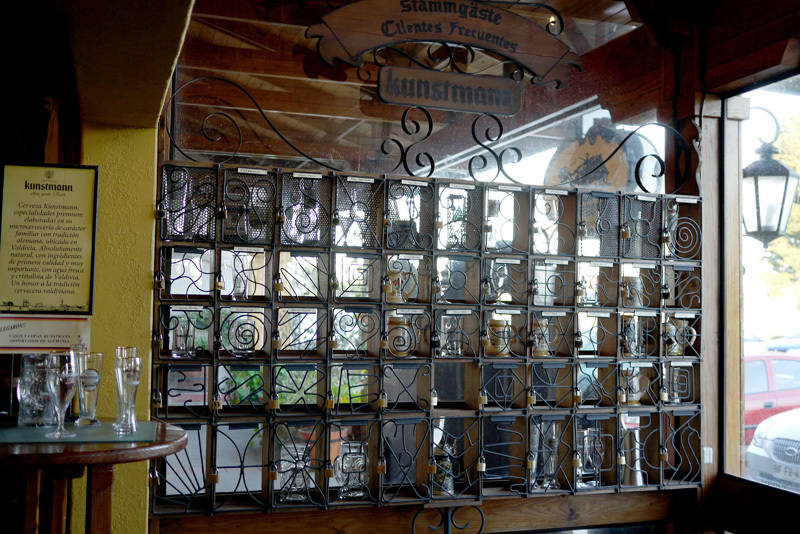 The regular client’s wall… this was actually a wall of lockers containing beer mugs of frequent visitors. I thought that was quite amusing! 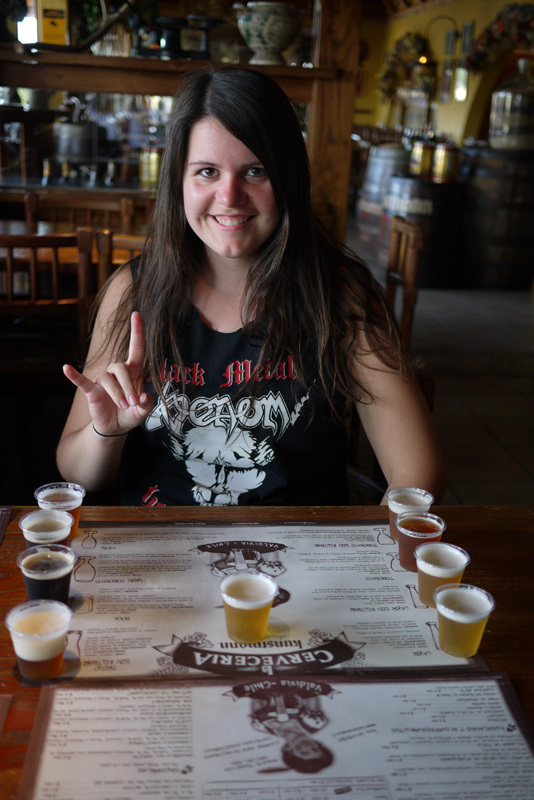 Myself with some sample beers! Look at those beautiful robes… arghhh! 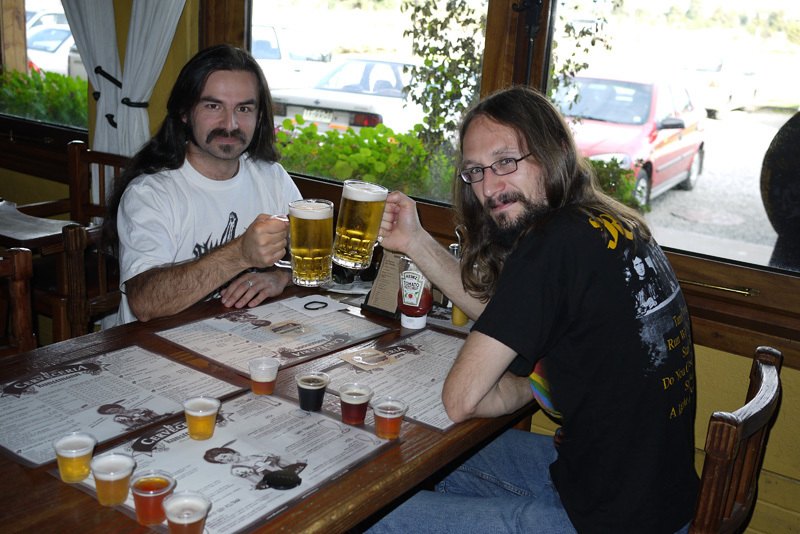 Carlos with François, enjoying two excellent lagers. 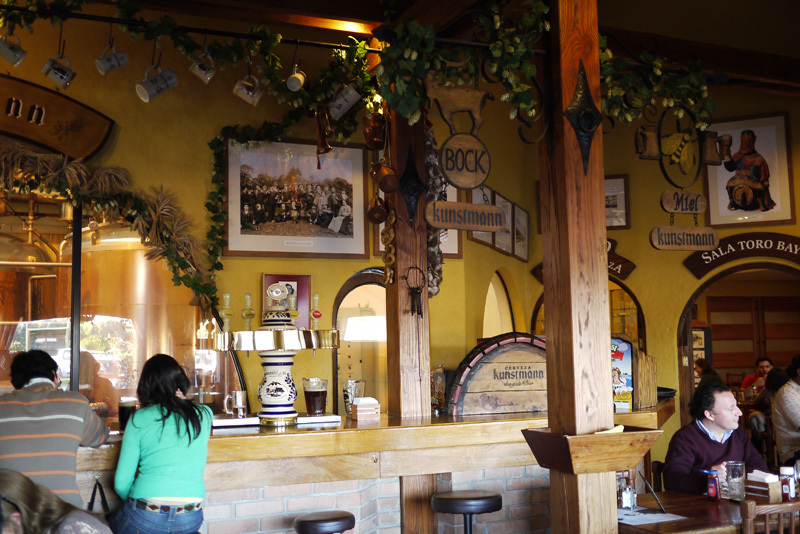 I love the German atmosphere of Valdivia. 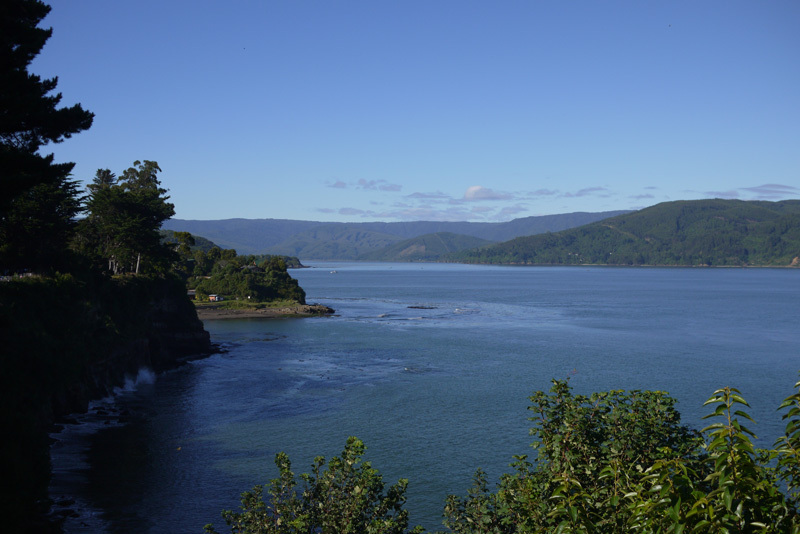 There was a big wave of German immigrants because a bit more than a hundred years ago, the south of Chile wanted to attract some people by giving out free land. Tons of Germans came, and naturally they brought their culture with them… and you can still see that around in some architecture and FOOD! 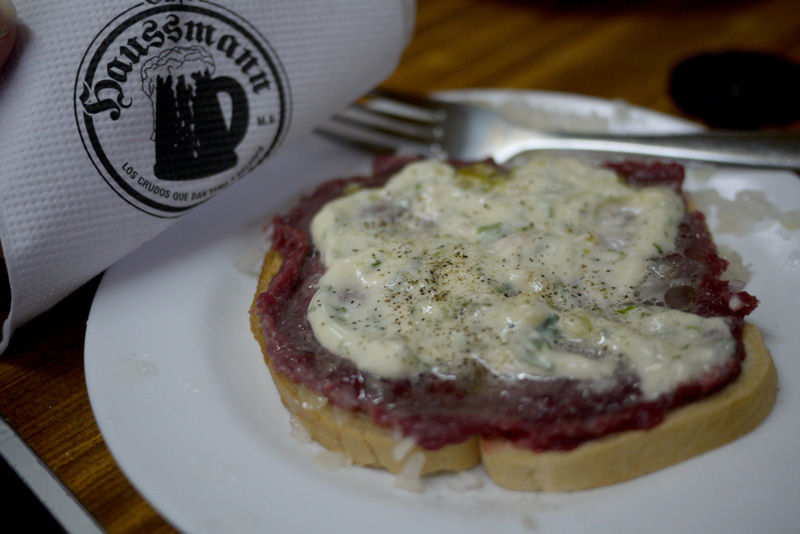 We went to some restaurant called Cafe Hausmann, which had one of the best dishes we’ve tried in South America; crudos! 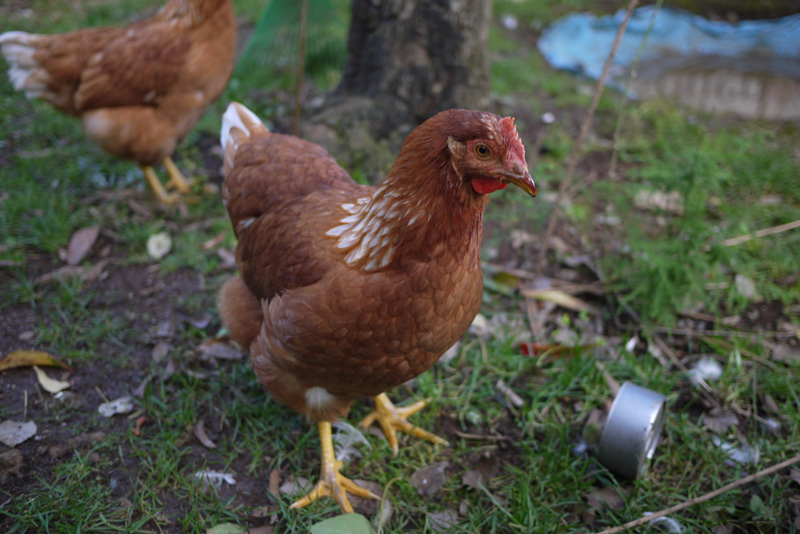 They are a mix of Chilean and German food – and are basically toast, raw meat, onions, peppers, lemon and home-made mayonnaise. It sounds weird, but they were so tasty, you have no idea! It was an overdose of flavor on the tongue! Crudos. Amazing. Amazing! I will be craving this for years!!!! 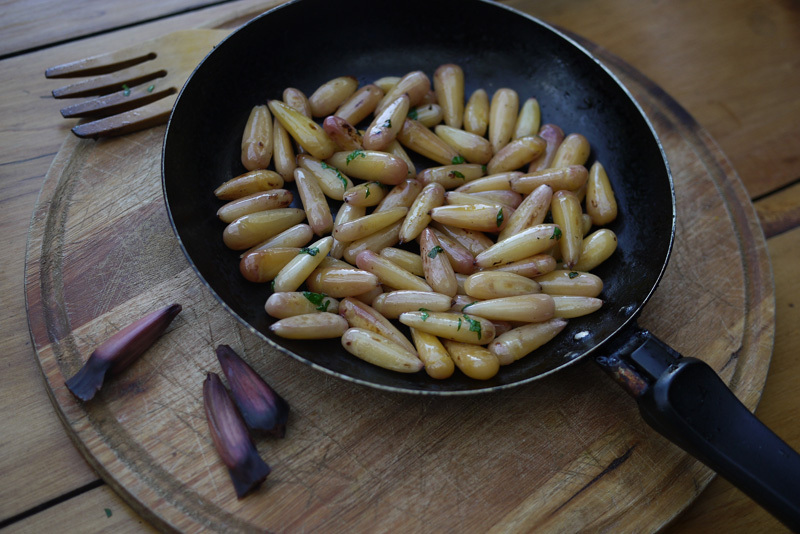 Piñones sautéed in olive oil with salt and parsley. Kind of tasted like a mix of nuts and potatoes! Calzone, I think? 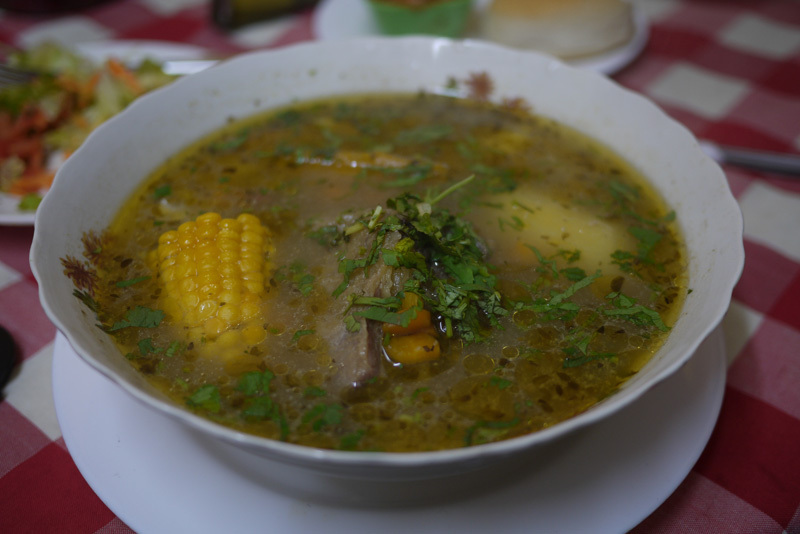 Don’t remember the name, but it contained a fatty piece of beef, a potato, some pumpkin and some peace of corn – cooked in a nice and rich broth. 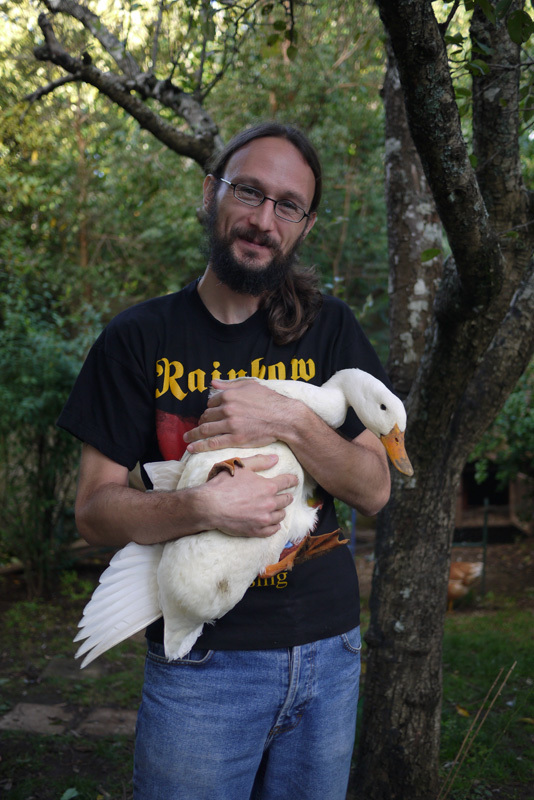 François with the hostel duck. Apparently, the duck is homosexual? So today, after eating more Crudos (hell yes!!! 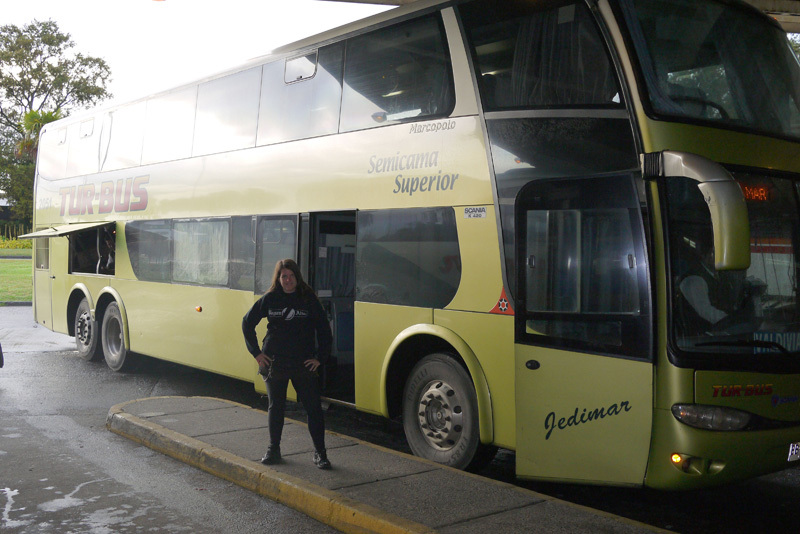 ), we’ll be taking the bus to Temuco (where we’ll play the third show of our tour). Not sure if I’ll be able to connect myself to the Internet for the next week, but who knows! This entry was posted on Thursday, March 24th, 2011 at 4:17 pm	and posted in Chile. You can follow any responses to this entry through the RSS 2.0 feed. Je crois que vous allez avoir besoin d’une cure de déxintoxication à votre retour. AA meetings !